Are you looking for the best chiropractors that care for scoliosis? The chiropractors at Clear Choice Chiropractic in Battle Ground and Brush Prairie, WA. are uniquely trained to help. Typically, scoliosis begins as a minor bend in the spine that gradually progresses over a lifetime. A diagnosis of scoliosis is made when the spine curves more than ten degrees to the right or left when a patient is facing the examiner. 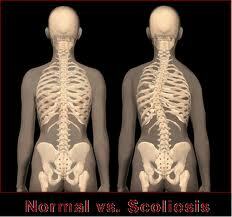 Once the spine has advanced to more extreme stages of scoliosis there can be severe health consequences. The good news is that if the bending of the spine is discovered early on, and Chiropractic care is received, it may be prevented from advancing to a debilitating state. This article will give you a brief glimpse into how scoliosis develops and the impact that it has on one’s health. It will also show how scoliosis can be identified, and how chiropractic care in can work to reverse its effects and return your body to full health. Chiropractic care at Clear Choice Chiropractic uses a gentle and conservative approach to treatment that can prevent, slow, and stop the progression of scoliosis. A chiropractor will likely perform specific spinal adjustments to reverse the body’s compensations and assist in the restoration process. If you are looking for a safe, non-invasive approach to treating scoliosis, chiropractic medicine has your back. Published in the January 12, 2006 issue of the scientific journal, Chiropractic & Osteopathy from Australasia, comes a series of case studies documenting chiropractic helping multiple cases of idiopathic scoliosis. In this report three documented case studies are followed and the results reported after chiropractic care. In this report the three subjects each had uniquely different situations. The first subject was a 37-yr-old female who came to a private spine clinic with a chief complaint of neck and back pain. Her history included surgical spinal fusion and implantation of a Harrington rod against her spine. The second subject was a 30-yr-old male who also went to a private spine clinic with a chief complaint of chronic mid thoracic pain. His history included scoliosis and a previous diagnosis of Scheuermann’s Disease. The third subject was a 23-year-old female who presented with neck and mid-back and shoulder pain. The subjects in this study were noted as having curvatures measuring 35°, 22°, and 37° respectively. These curvatures were measured using the “Cobb angle” which is a standard technique used to measure the severity of a spinal curve – in degrees – from spinal x-rays. The results in these cases all showed improvement. The patient with an initial 35° Cobb angle showed a 13° reduction after the 12 week period. The patient with the initial 22° Cobb angle showed an 8° improvement, and the patient with the 37° initial Cobb angle, showed a decrease of 16° over the 12 weeks. If you feel like you have or have been diagnosed with scoliosis please let the doctors at Clear Choice Chiropractic in Battle Ground and Brush Prairie, WA. help you regain your health.